The Retrograde cycle is the time when Venus as seen in the night sky as the Evening Star disappears for usually about 40 days and nights to then reappears as the majestic "Morning Star." During this time it is a phase when Venus as the archetypal symbol of Partnership, Relationships, Love and Pleasure, as well as the creative inspiring aspect of the "Muse" - goes "underground". She descends into the hidden recesses of our own psyche, heart, and soul to reemerge on the other side with reclaimed treasures from her pilgrimage in. 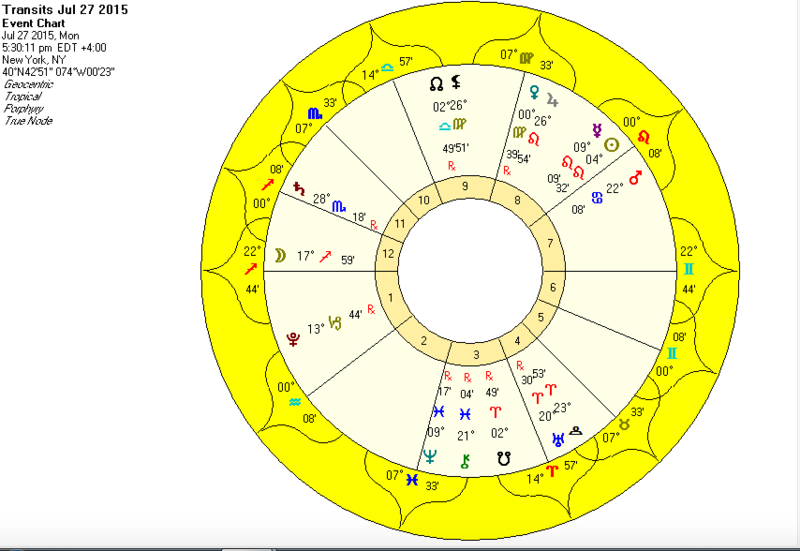 June 21st Venus enters the "Shadow Zone" at 14 degrees Leo - this is the point she will be moving back to, stop at and end her retrograde, and then move from there forward again. During Venus's Retrograde Cycle Black Moon Lilith will be powerfully positioned with the Moon's North Node from July - October. This is a very strong influence of the "Rebel Goddess" directing the stage of where we are going - (the N. Node is the collective destiny). From July 2015 - February 2016 Persephone ~ The Tantric Queen Alchemist of The Underworld is partnered up with Uranus - the Lord of Enlightenment and Awakenings.